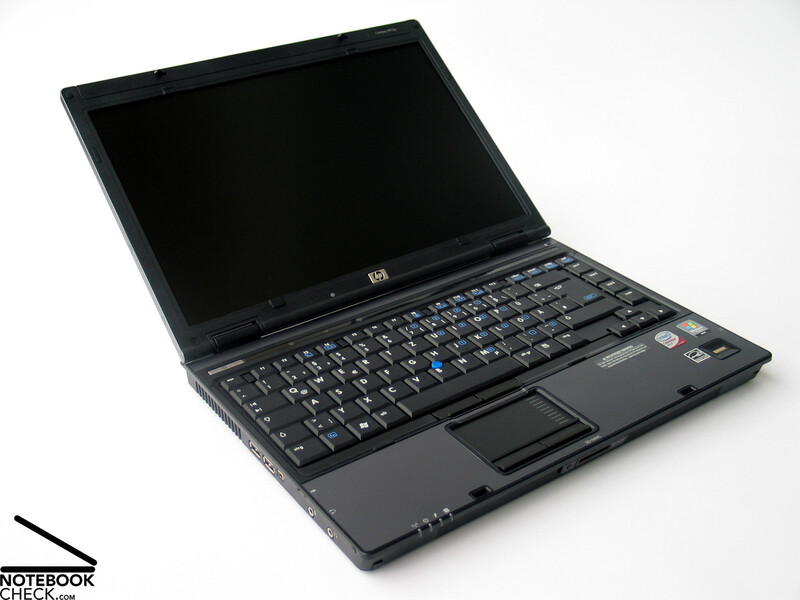 Having a handy 14.1 inch format and weighing 2.3 kg, the HP Compaq 6910p is a mobile office expert made by the American notebook producer Hewlett-Packard. Aspects especially important for sales agents are many provided communication modules, e.g., Bluetooth, WLAN standard n, Gigabit Ethernet, and built-in UMTS. What can you expect of an 'office-to-go' notebook, i.e., a mobile notebook like the HP 6910p? Are a case which is sufficiently robust for harsh handling on-the-move, user-friendly input devices, which allow working many hours without external input devices, and many interfaces especially for the use on-the-move important? Of course also the display has to be sufficiently bright to allow outdoor usage. Not to mention a long battery life, which allows working without being connected to a power source for a long time. 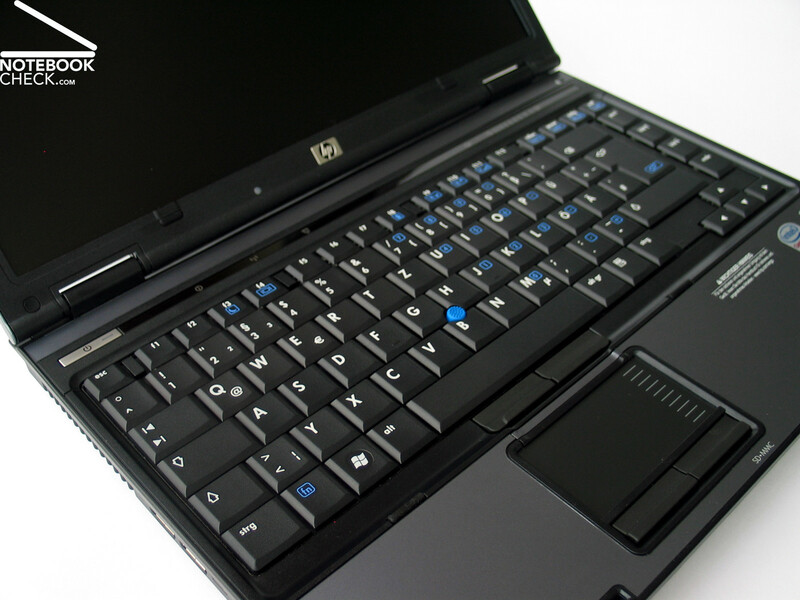 If these are your requirements the HP Compaq 6910p could be your favourite choice. The following article covers details. 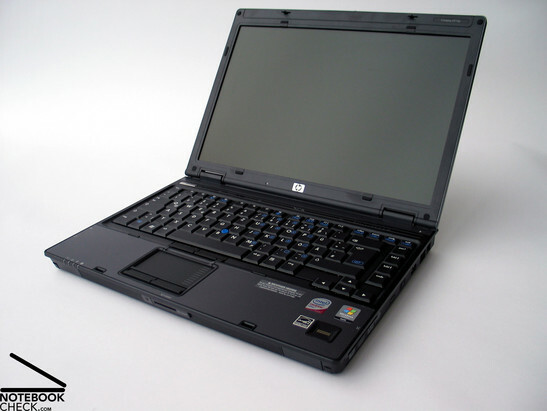 The case used is the well-known Compaq chassis, which is also used for other models of the Compaq business series. The black case with blue-grey elements reflects being designed for businessmen. Together with the partly blue key imprints and the blue trackpoint the overall design looks good. But, HP did not only care about the look, but also about the haptics. The plastic tray as well as the composite materials of the palm rest areas, and of course the lid made of magnesium score points because of their surface textures, which emphasise the high-quality impression of the case. The last criterion, handling with the notebook, also verifies the robust and stable construction of this notebook. Base unit and display are practically insensitive to applied forces. Furthermore, the Compaq 6910p handles being picked up at the edges with ease. We hardly heard any creaking during our tests. The two display hinges support any position of the 14.1 inch display with ease. Except of a small see-saw, they allow a precise control of the opening angle. 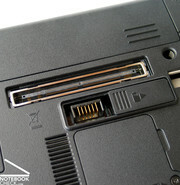 The transport hook, a double hook system in the display part of the notebook, also works precisely. It secures the display if closed. However, the release mechanism at the front edge of the display is not easy to use. Sometimes the help of hopefully not too long fingernails is needed. 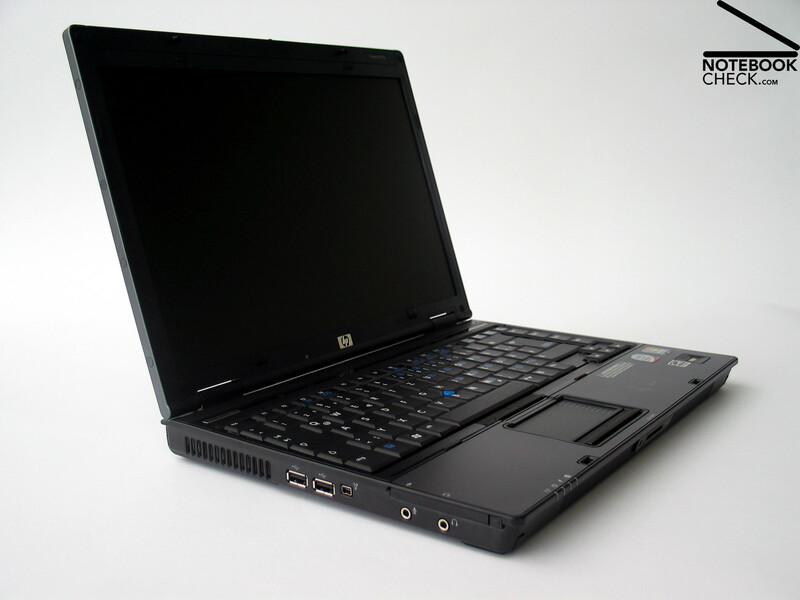 As mobile office solution the Compaq 6910p offers a number of ports, which are spread on the flanks of the notebook. The most important one is perhaps the docking port at the bottom side of the base unit. It allows to quickly and easily integrate this notebook into an existing office environment. If demanded you can quickly attach and remove the notebook without the need of plugging and unplugging all cables - that's ideal. Of course you'll also require a compatible docking solution, whereas HP offers a number of models. 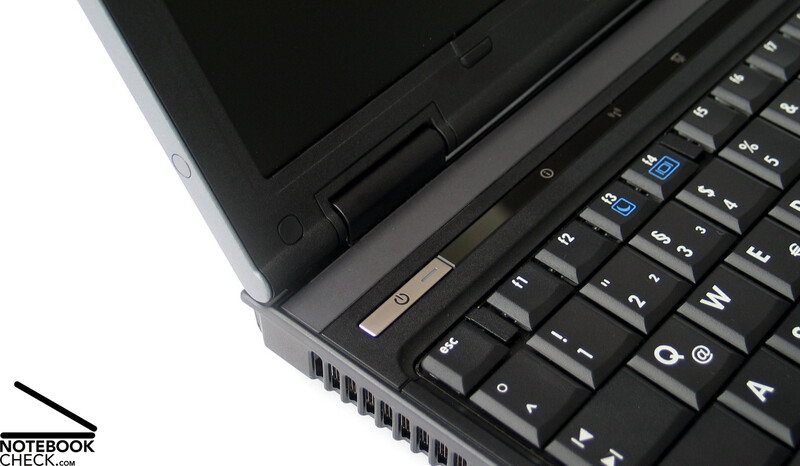 Because a docking option is available, it is sufficient that the Compaq 6910p only provides the most important ports directly at the case. At the left side there are two USB 2.0 ports, a FireWire port, and the jacks for headphones and microphone. The location of the two audio ports at the left side is thereby helpful, because a position at the front edge would quickly turn out to be unhandy if you work with the notebook at the top of your lap. At the front edge of the HP 6910p there are the built-in stereo speakers and in the middle an SD card reader. The later can, e.g., be used as additional security feature, but, we will cover this aspect a little later. Immediately behind the optical drive at the right side, there are another USB port, a LAN and a modem port. The backside is occupied by a Kensington lock, and by VGA and S-Video out. The power connector is also at the backside of the case. Furthermore, the order of the ports is definitely convenient for mobile use. 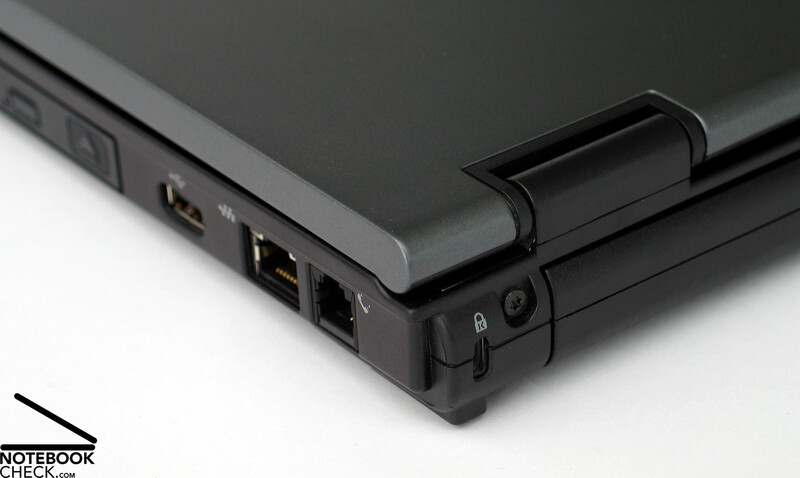 The two USB ports at the left side are more suitable for right handers, because the DVD drive at the right side ensures a free work space right of the notebook. 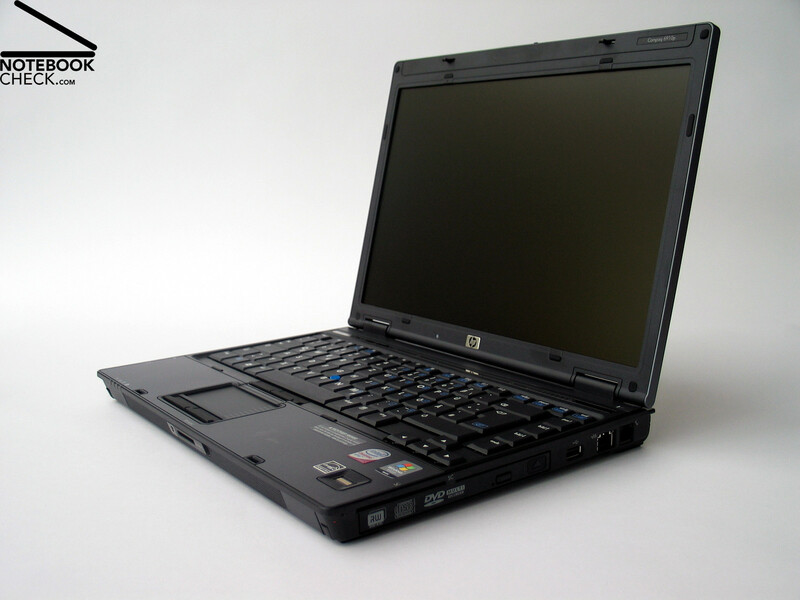 The Compaq 6910p offers a broad range of communication modules, which ensures that there is no usability limitation due to missing communication possibilities. Among others, it provides Gigabit Ethernet (Intel 82566MM Gigabit Network Connection) and a wireless Lan module, a Wireless WiFi Link 4965AGN, also by Intel. Bluetooth 2.0 allows exchanging data with mobile phones or pocket PCs. The built-in modem could be the last way the connect to the Internet in areas with only little network coverage. If the network coverage is sufficient, which is likely in the Europe's areas of high population density, the built-in 3G/UMTS module allows an easier, more user-friendly, and more powerful connectivity provided you've got an appropriate contract or a pre-paid card of a service provider. A business notebook like the HP Compaq 6910p also comes with a lot of security features. 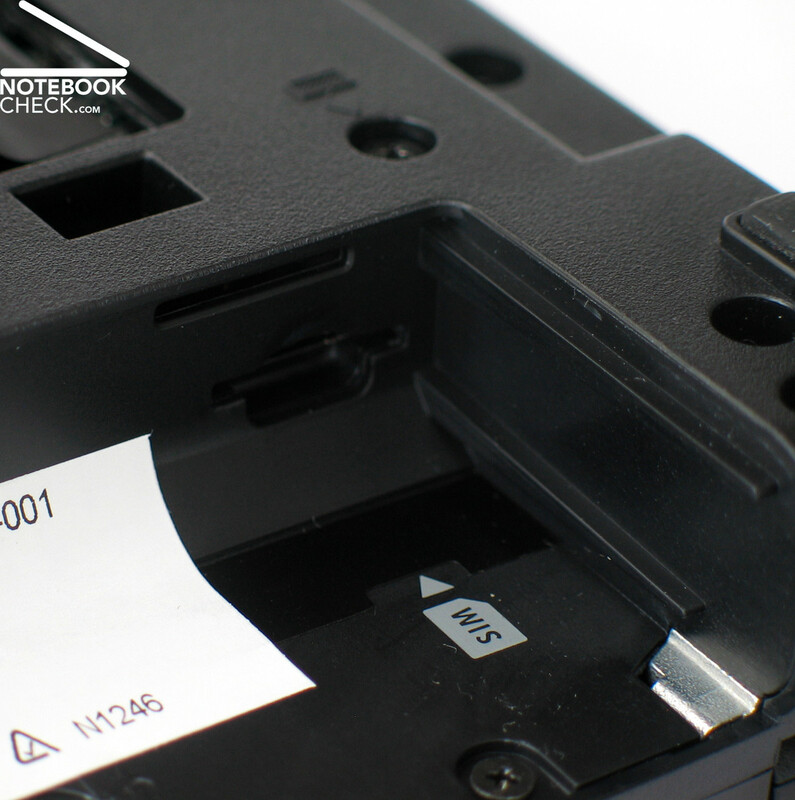 This notebook comes with TPM 1.2 chip, fingerprint reader and finally a smart card reader. 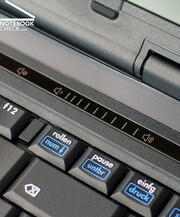 User-friendly input devices are mandatory for business notebooks. The most important aspect is that the keyboard is ready for being intensively used every day. 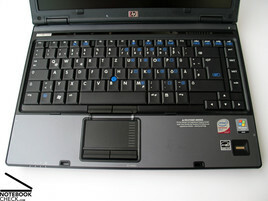 This HP notebook is equipped with a keyboard with 87 keys with clear standard layout. This allows a quick and intuitive use of this notebook from the beginning. 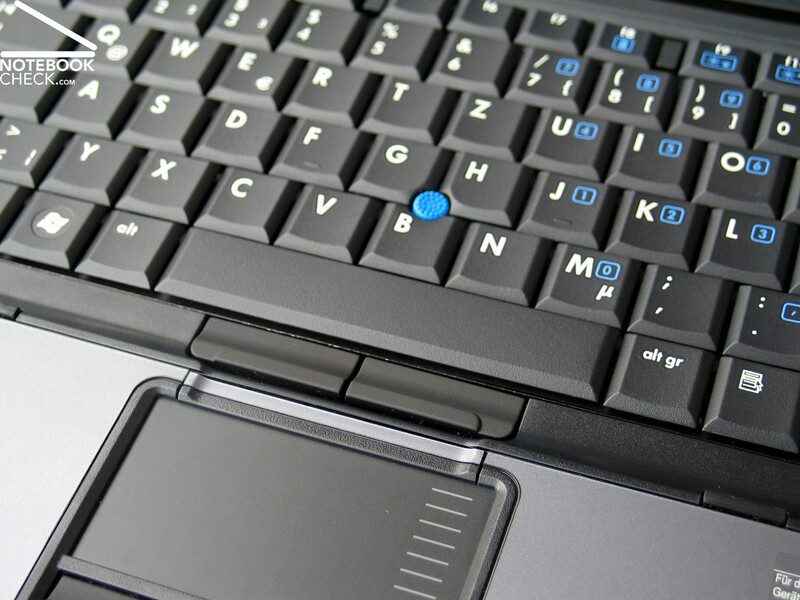 The del key is for example at the usual place at the right top, at the edge of the keyboard. The same is true for the Ctrl key, which is as usual left below the shift key. The letters have a size usual for this notebook category, which is 18 mm x 18 mm with a key head of 1.4 cm x 1.5 cm. 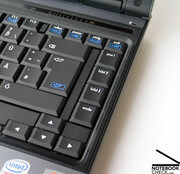 Other advantage are the double-spaced enter key, and a sufficiently big space bar. To summarize, it is easy to get used to this keyboard. Subjectively, typing is characterized by a keyboard, which is tightly attached to the case. The key feedback is clear and the key travel averagely long. The typing noise is user-friendly low. The shiny blue imprint of the second function of some keys is nearly too striking. It nearly drowns out the white imprint of the standard functions. 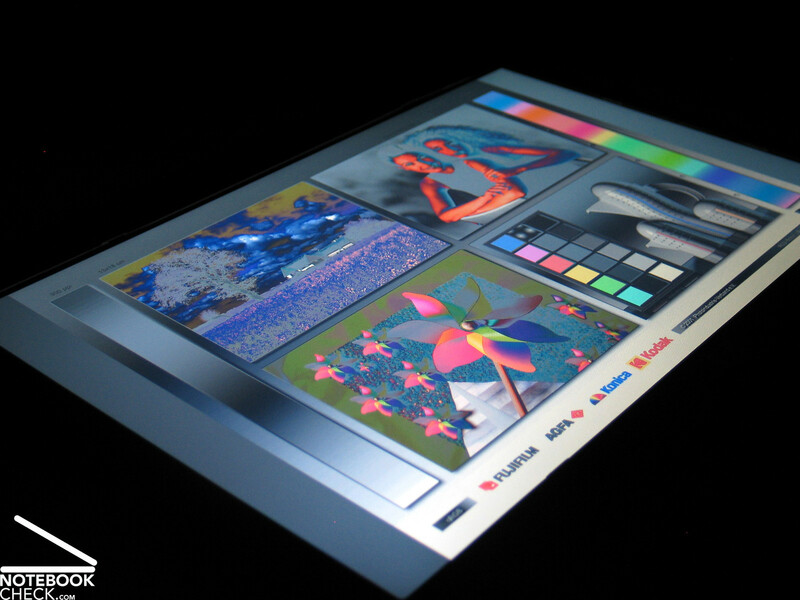 The touch pad has a user-friendly surface and a very big optically marked vertical scroll area. A track point with a thorny blue plastic part in the middle of the keyboard is provided as alternative. It allows to move the mouse pointer across the display by gently pressing it. Thereby it is not necessary to reposition the fingers. The track point also has two buttons (left and right mouse button). Unfortunately it does not have a middle button which would, e.g., allow quick scrolling. 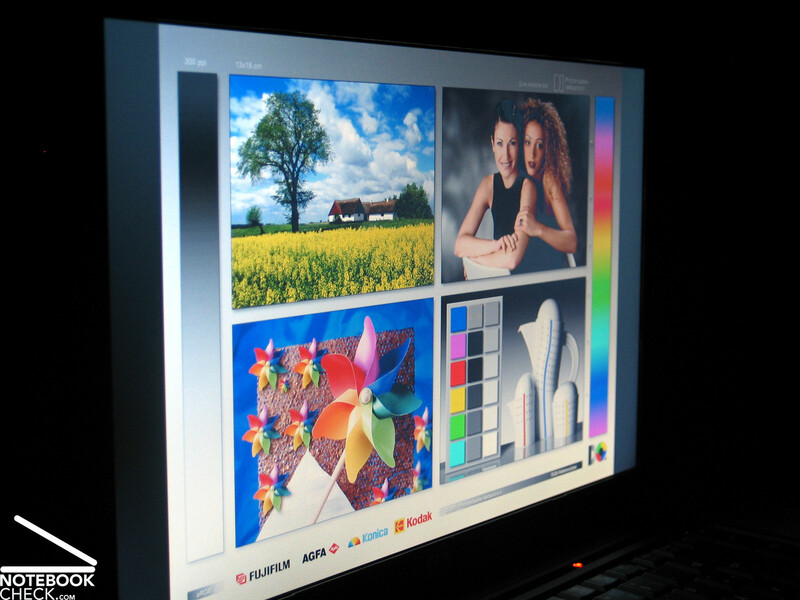 The HP Compaq 6910p under review was equipped with a WXGA display with a resolution of 1280x800 pixels and matte surface. Therewith, the desktop size is sufficiently big for standard office applications. If you want to run applications with a lot of toolboxes, the desktop could get quickly too small. 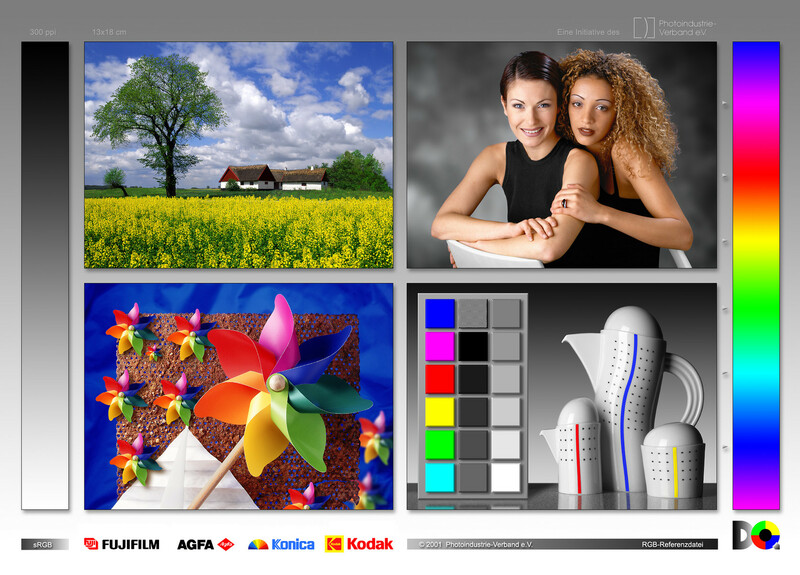 If so, you can also choose a display model with 1440x900 pixels. 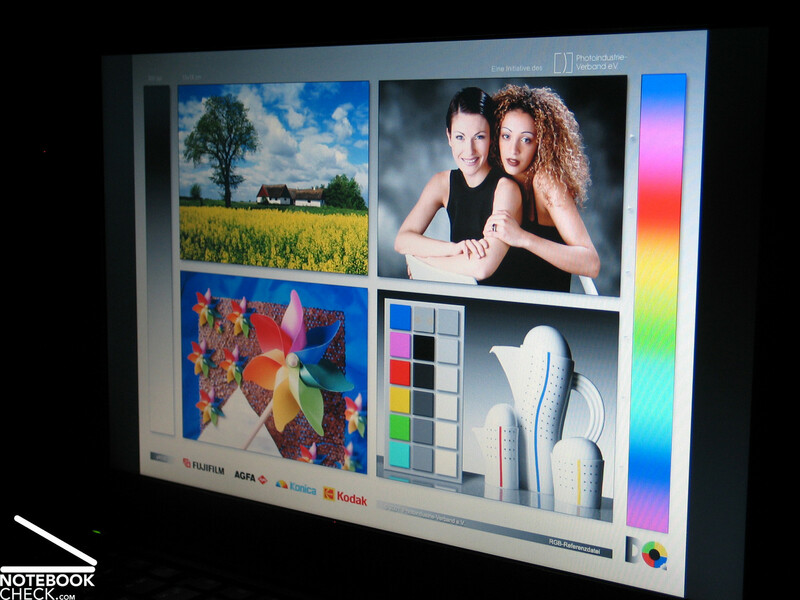 In our brightness measurements the Compaq 6910p achieved a good maximum brightness of 218 cd/m² . The brightness diminishes down to 189 cd/m² in the right part of the display. This still gives a very good illumination of 86.7%. Also the average brightness of 203.6 cd/m² is remarkable. Due to a rather high black value of 1.41 cd/m² (lowest possible brightness level - black) the contrast ratio of 155:1 is rather moderate. Nevertheless, our personal impression was that the displayed content looks alright. 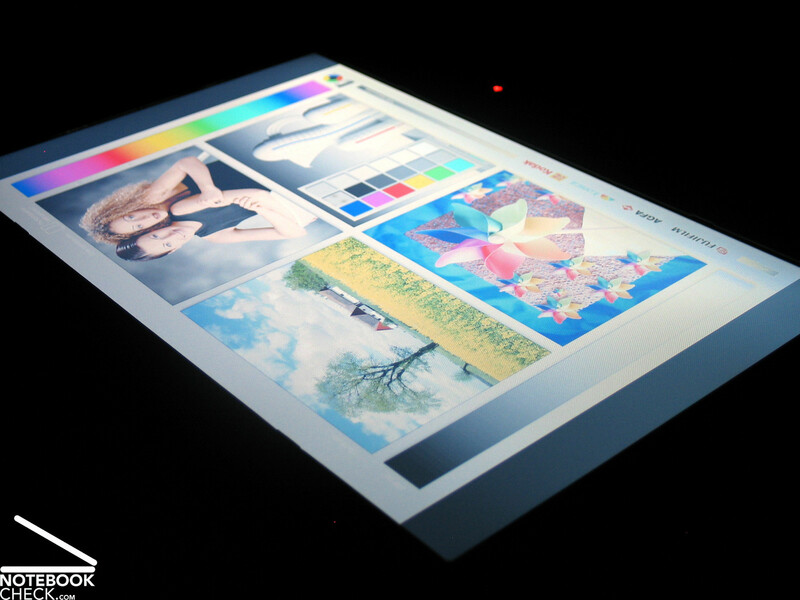 A matte display surface and a high maximum brightness are important for outdoor operation. Usually outdoor operation also means running on battery. In battery mode you can observe an interesting behaviour. If you disconnect the power cable of this notebook shortly after the system boot, the display is automatically dimmed to 113.1 cd/m². This is too low for a user-friendly outdoor operation. It was even not possible to manually increase the brightness. If you once again connect the power cable for a short time and remove it again, the maximum brightness (212 cd/m²) is approximately retained. However, this work around did not work if the energy profile minimum energy demand was selected. 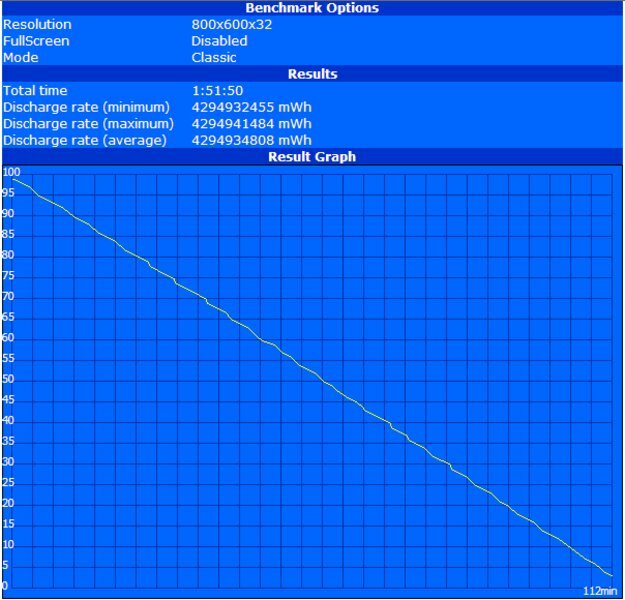 It is only possible to work with dimmed display in battery mode with this energy profile. Furthermore, we have to mention that adjusting the brightness of the reviewed notebook via the key combination Fn-F9/F10 did not work. We could not trace whether this was due to the operating system (Windows XP) or due to the BIOS. However, the brightness sensor for the auto adjustment worked without problems and can also be deactivated if needed. The viewing angles are vertically rather narrow. Even if the deviation from the ideal vertical viewing angle is small, the display whitens if you look top down. Horizontally the viewing angles are clearly wider and acuter viewing angles are also possible. If you use this notebook on the move you might need to sometimes readjust the opening angle. Equipped with a powerful T9300 CPU by Intel with a clock rate of 2.5 GHz and 6 MB L2 cache, the HP 6910p has an efficient home position regarding central processing unit. Although the HP 6910p is not yet based on the new Intel Centrino 2 platform, there is regarding performance still hardly anything left to be desired. This is at least true, if you do not demand high video performance. The HP 6010p comes with an integrated Intel GMA X3100 video chip, which is on the one hand sufficient for standard office tasks, but, on the other hand its performance is too limited for demanding 3D applications. This difference between office performance and too low 3D video performance is also proved by the PC Mark 2005 and the 3D Mark 2006 benchmarks. While this notebook is about as powerful as other office notebooks with integrated video chips, but clearly outperformed by notebooks with dedicated graphics cards in the 3D Mark test, it clearly performs better in the application benchmark PC Mark. The result in the Cinebench R10 benchmark test is also of interest. The HP 6910p achieves an excellent result in the CPU demanding rendering test. 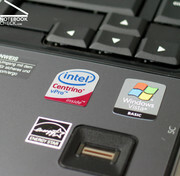 The results are comparable to the Lenovo Thinkpad SL400, which is equipped with Intel's newest T9400 CPU (Centrino 2 platform) with 2.53 GHz. 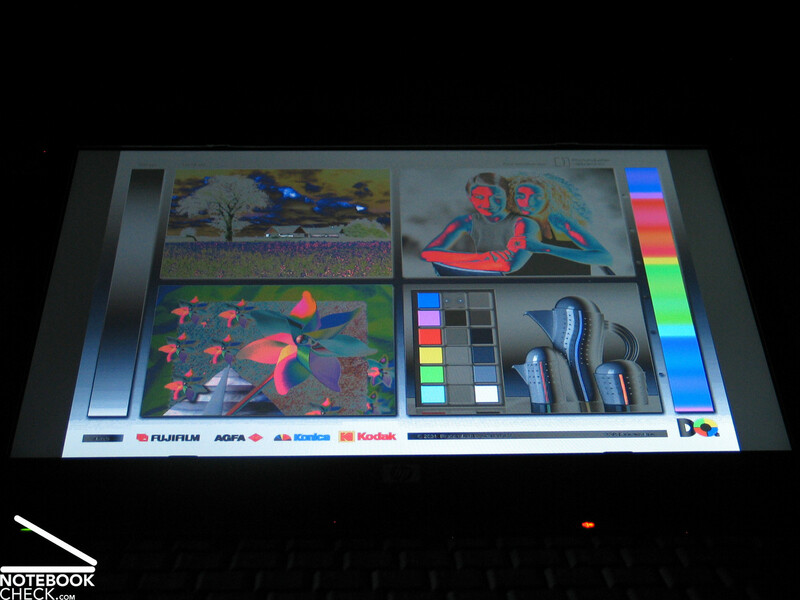 However, also the moderate video performance, which is even clearly lower than of similarily equipped notebooks, of the integrated X3100 video chip gets apparent in this test. 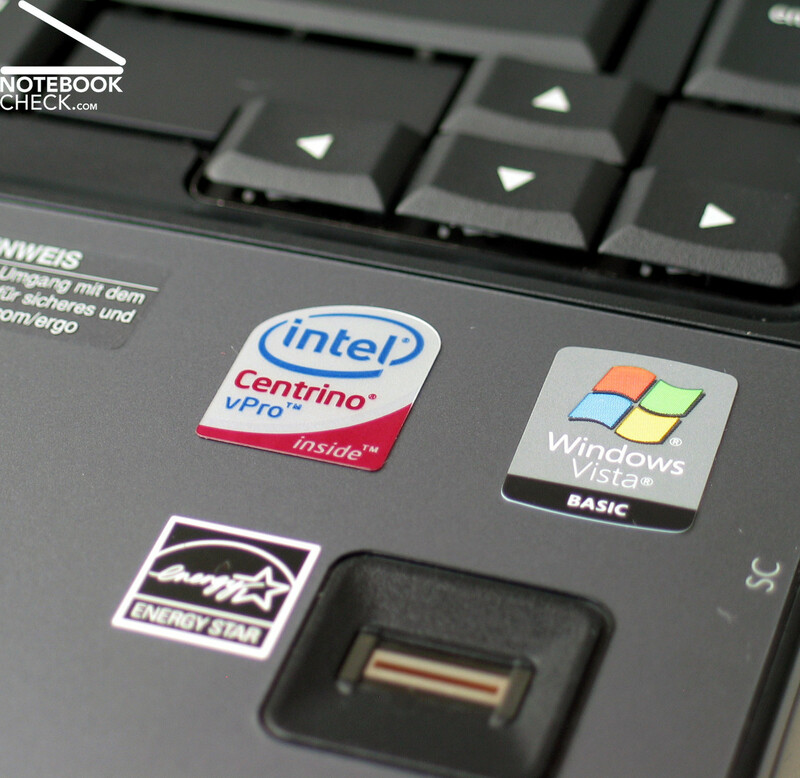 Together with 2048 MB RAM (2x 1024 MB, DDR2 PC5300) in dual channel mode this notebook is a balanced bundle. 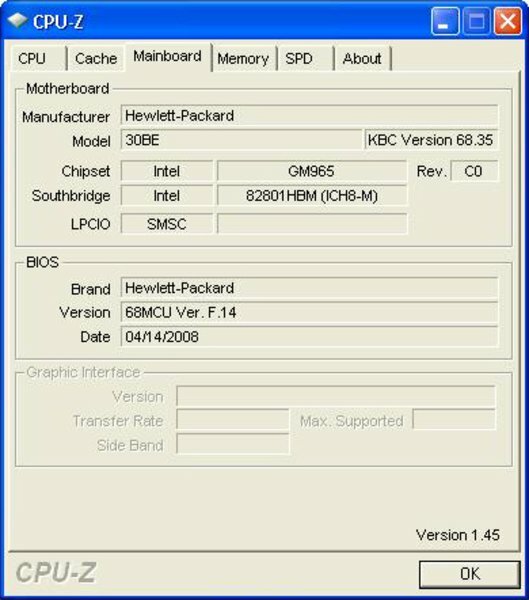 The HP Compaq 6910p can be equipped with a maximum of 4096 MB RAM in principal. However, both memory modules have to be exchanged in order to upgrade the notebook under review, because only two SODIMM slots are available. 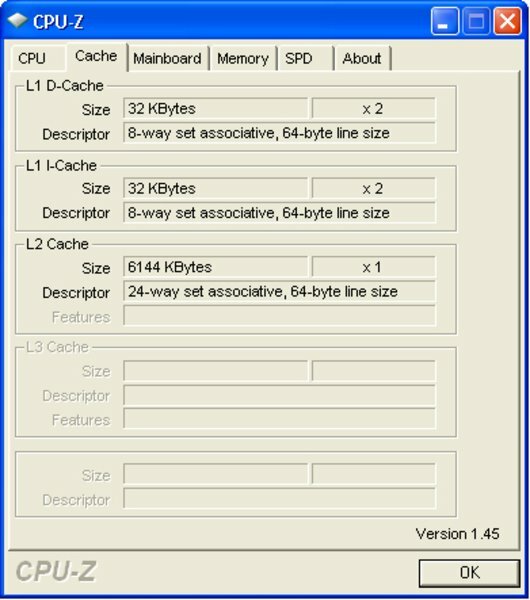 Furthermore, you should use a 64-bit operating system if you want to be able to utilize a total RAM capacity of 4 GB. The test sample came with a powerful 7200 rmp hard disk by Seagate. Its gross capacity of 250GB provides sufficient space for your data. Furthermore, it also achieves good results in the HDTune benchmark test. The Seagate Momentus convinces regarding access time (15.9 milli-seconds) and transfer rates. Although the fan of our test sample started to run clearly audible as soon as the system was powered, this noise level was never exceeded while running office tasks without big load. Our personal impression was that the noise level of 33.0 db(A) was thereby clearly audible yet not annoying. Under load, with continuous high work load on both cores and the video chip, the reviewed notebook reached a maximum noise level of 40.8 db(A). However, this should be seldom in practice. While the temperature stayed within a comfortable range at the top side, i.e., at the keyboard and the palm rest areas (maximum of 33.8°C), the bottom side got clearly hotter. This is especially true for the area of the system fan (CPU). We measured a maximum temperature of 44.3°C at the bottom side. If you continuously work with high load, it might get inconvenient to work with the notebook at the top of your lap. However, you won't reach the maxima with moderate office work load. (+) The average temperature for the upper side under maximal load is 30.7 °C / 87 F, compared to the average of 29.4 °C / 85 F for the devices in the class Office. (+) The maximum temperature on the upper side is 33.8 °C / 93 F, compared to the average of 33.9 °C / 93 F, ranging from 21.2 to 62.5 °C for the class Office. 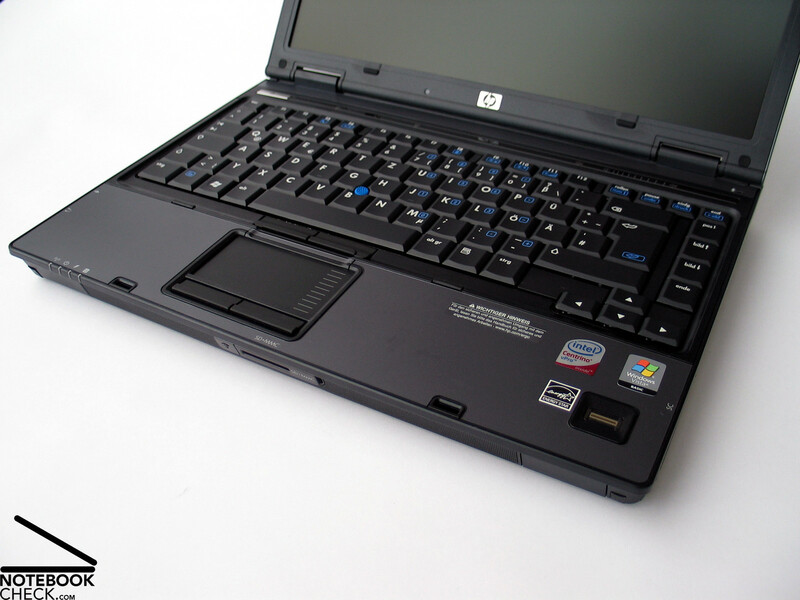 Although the HP Compaq 6910p is a true office notebook, the sound of the speakers at the front edges of the notebook is definitely acceptable. The sound is a little thin with as usual weak basses. The sound output via 3.5mm stereo jacks was alright. 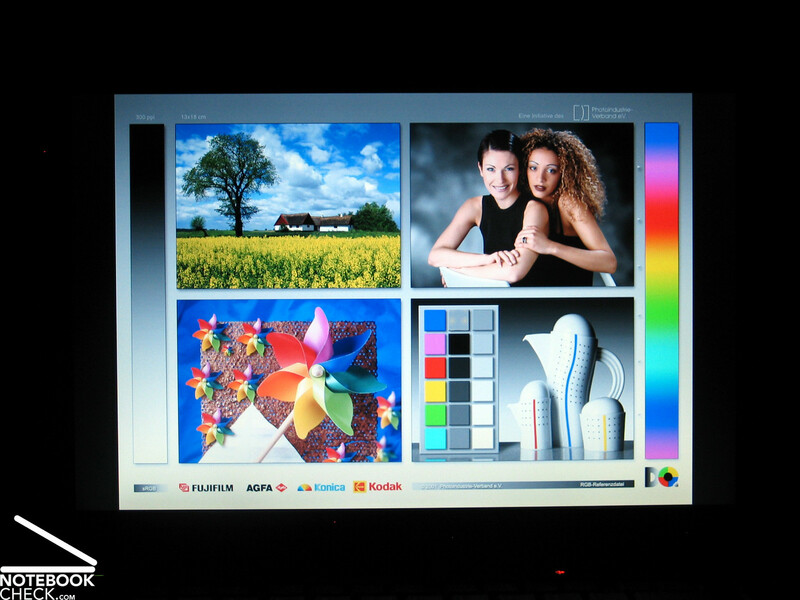 HP promises an "industry-leading battery life" on the web page of the Compaq 6910p. Although we do not directly want to confirm this statement, this notebook still achieves an excellent battery runtime with the 55Wh battery (6 cells). 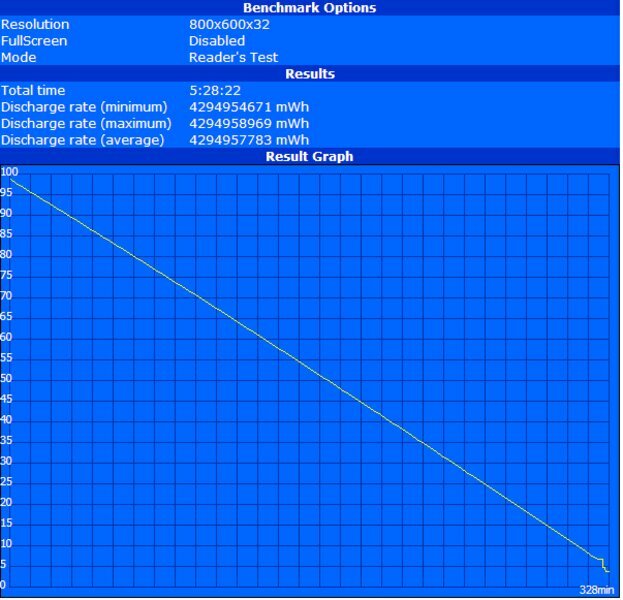 E.g., it achieves a maximum runtime of 328 minutes (nearly 5.5 hours) in the BatteryEater Reader's test with minimum energy demand (energy saving profile, minimum display brightness, WLAN deactivated). Even under load with maximum brightness and activated WLAN the runtime of this office expert is still 112 minutes. In the WLAN test with maximum brightness, which is in step with actual practice, the battery life of the HP 6910p is 255 minutes, which is very good. Watching DVDs the runtime was 200 minutes, which is also very good. So, the HP Compaq allows watching some DVDs during a longer journey. Nevertheless, HP also offers two external battery solutions, a 8 cells and a 12 cells battery. 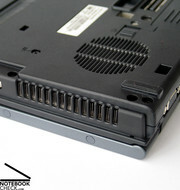 These supplement batteries can be attached to an interface at the bottom side of the notebook, which is covered by a small discrete cover. In order to reduce weight, it is also possible to use a 4 cells standard battery. 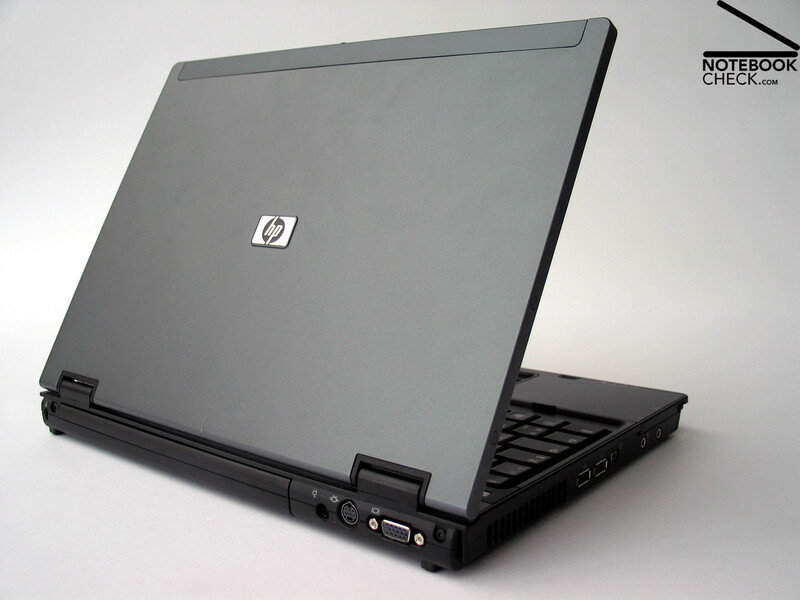 To summarize, the HP Compaq 6910p fulfils all requirements of a mobile office notebook. The robust case in typical HP business look provides a good base for daily use. The variety and number of interfaces, especially the docking port, allow a trouble-free integration into an existing office environment. The communication features are especially advantageous. These include Gigabit Ethernet, wireless LAN standard-n, Blue-tooth, and a built-in UMTS modem. 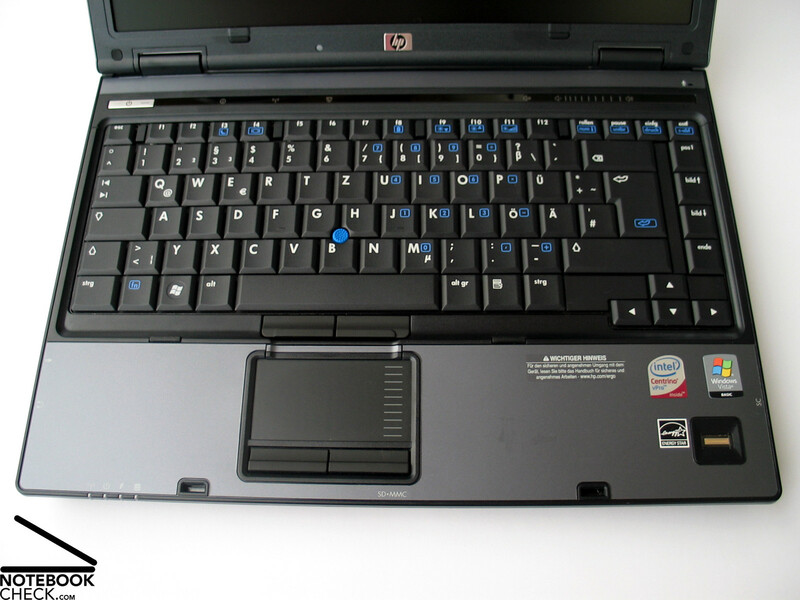 The input devices consist of a keyboard with clear layout in typical HP look, and the well-known touchpad / trackpoint combination. These should allow a user-friendly mobile work without any external input devices with hardly any limitations. 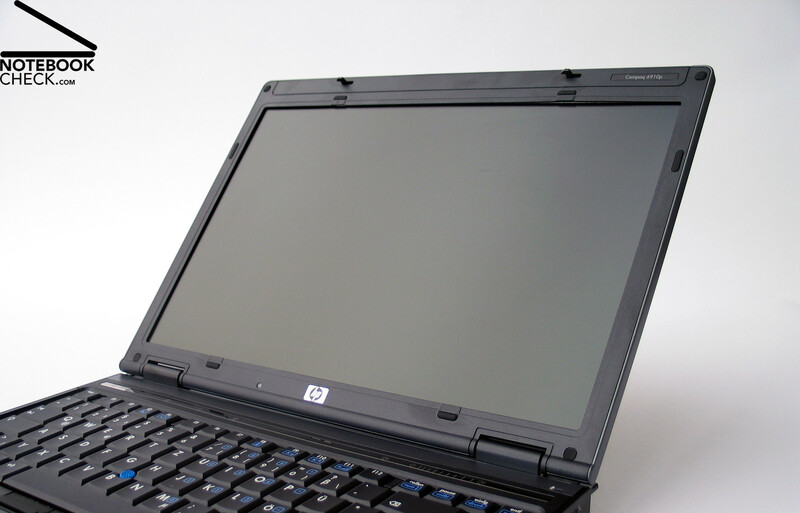 The matte display with sufficient brightness and illumination for outdoor operation of the HP 6910p is another advantage for mobile use. However, the viewing angles could be better. The performance reflects that this notebook is designed for office applications. 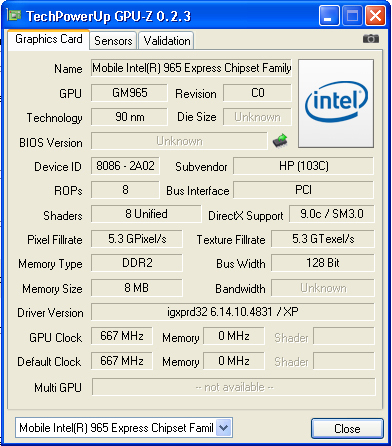 The fast Intel T9300 CPU is very powerful, but, the integrated Intel GMA X3100 video chip only fulfils the base requirements regarding graphics. 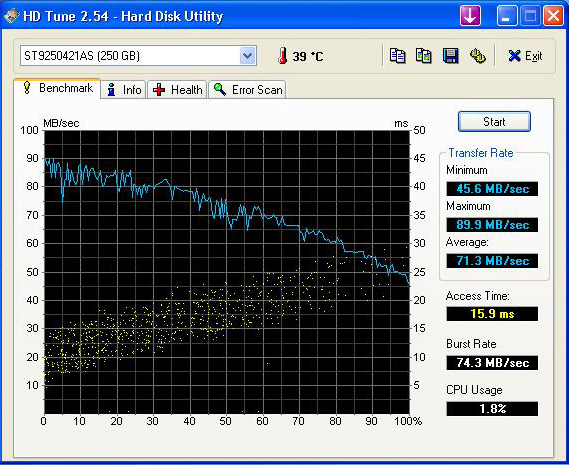 Of course also the fast 7200 rpm hard disk has a positive impact on the total performance of our test sample. The system noise of this notebook is alright when running office applications. However, it is possible that the temperature increases a little more than convenient under high load. 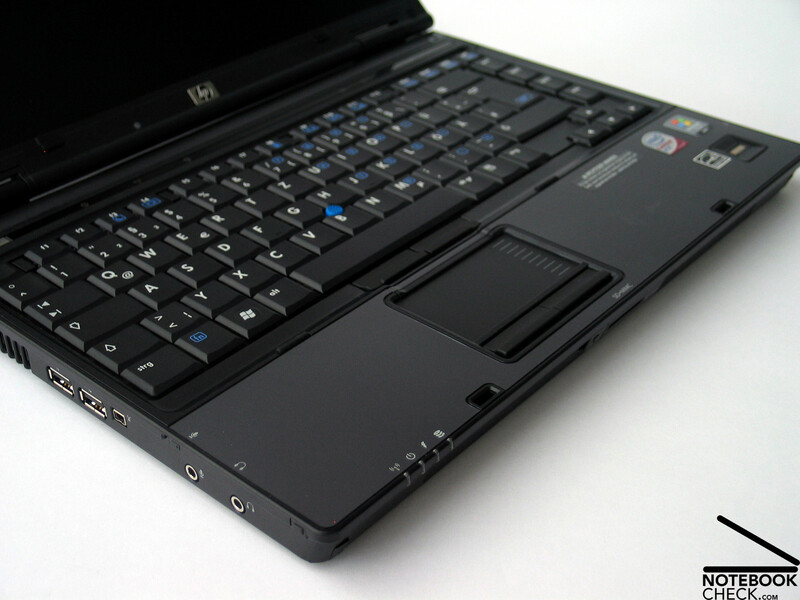 Finally, the HP Compaq 6910p also scores points by its battery life. The built-in 55 Wh standard battery allows working unplugged for up to above 5 hours. 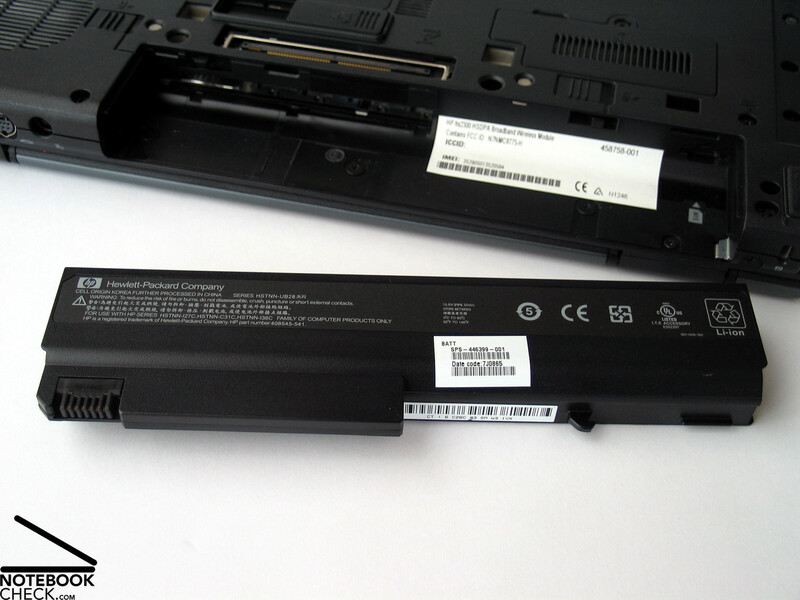 In order to meet especially high demands on mobility HP also offers external supplement batteries, which can be docked to the notebook. 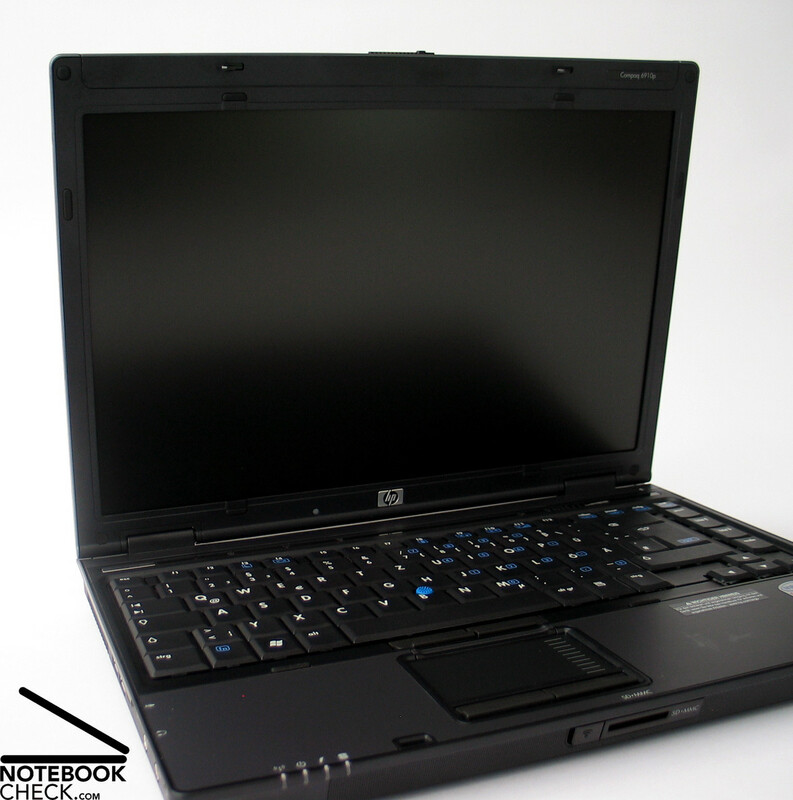 Summarizing the above, the HP Compaq 6910p is a notebook designed for office-oriented work, for user who demand high quality, reliability, and mobility in step with actual practice. It is obvious that this costs. However, three years manufacturer's warranty is also included. Many thanks to Planet Notebook, who kindly provided us with the test sample. You can configure and buy this notebook here. 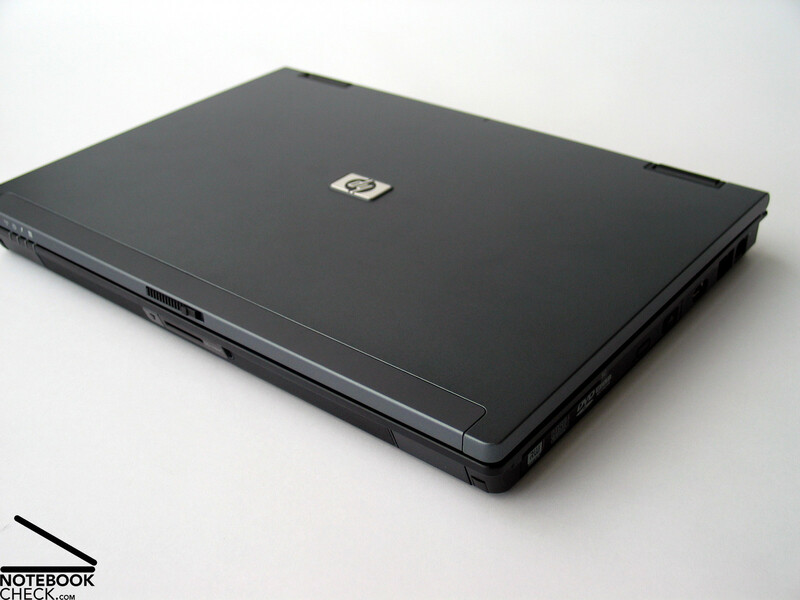 The design of the HP Compaq 6910p is not surprising at all. 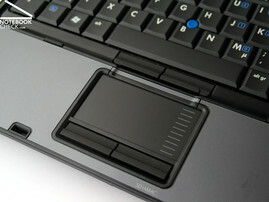 The hot keys are touch sensitive areas in a moulding above the keyboard. 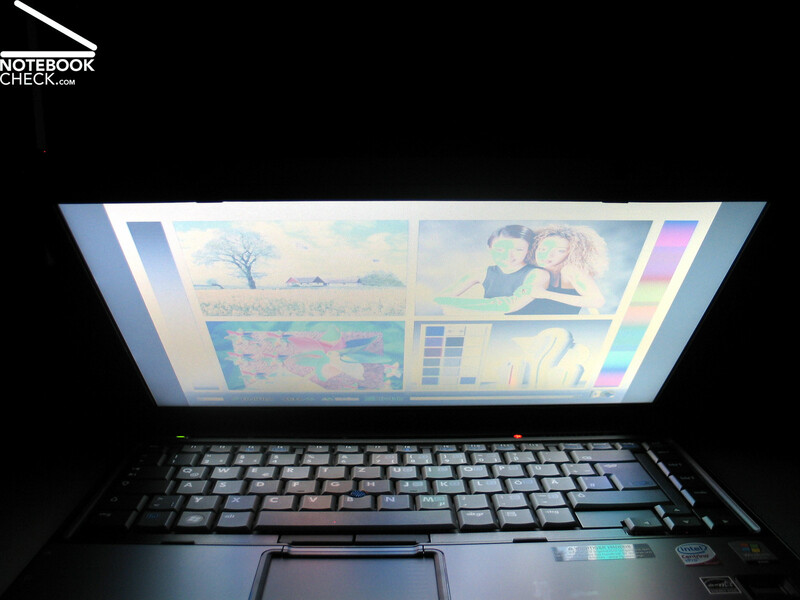 The display is a successful non-glare panel, which has nonetheless a good brightness. Therewith outdoor operation is possible. However, the viewing angles could be better. 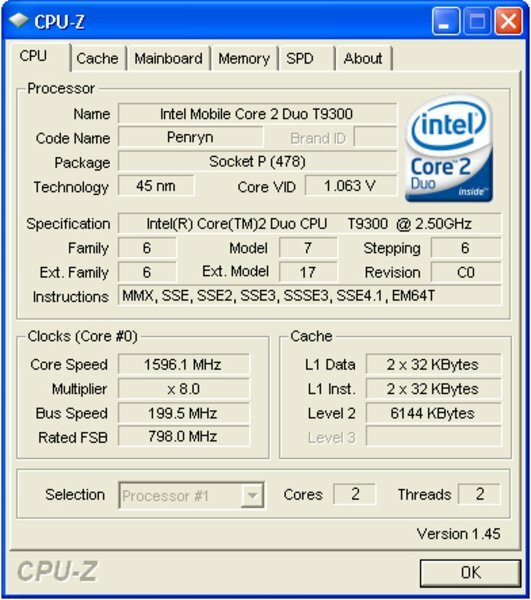 The T9300 CPU by Intel with 2.5 GHz ensures a good office performance. 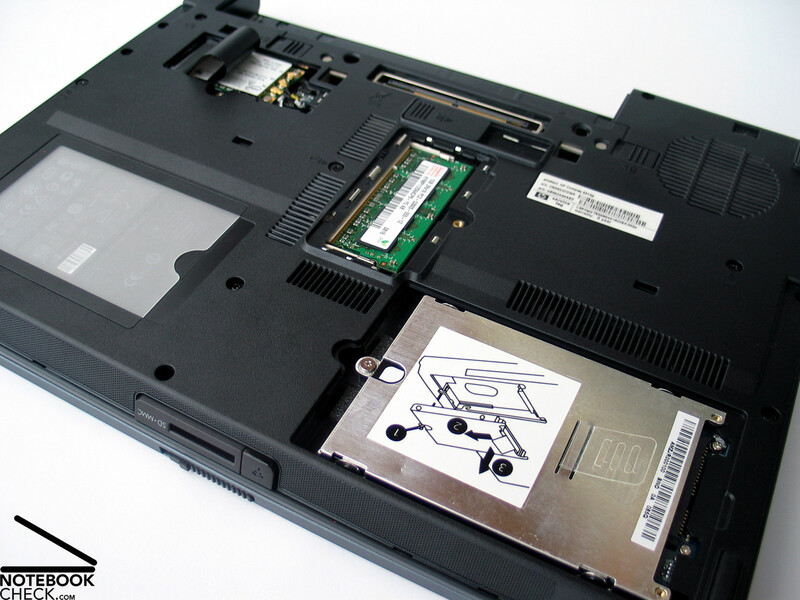 Although the X3100 video chip also hints on being designed for office work, this notebook achieves nevertheless good benchmark results. The system fan immediately starts running at power-on. Nevertheless, the system noise is acceptable when running office applications. While the temperature hardly noteworthy increases at the top side, the bottom side reaches a maximum temperature of 44.3°C under high load. The sound of the speakers at the front edge is acceptable. The battery life of the 55Wh standard battery is already remarkable. 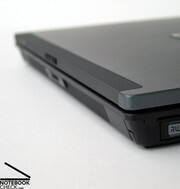 Alike many other notebooks of the HP Compaq business series, also this notebook comes with touchpad and trackpoint. Typing can be characterized by a good feedback and an averagely long key travel. 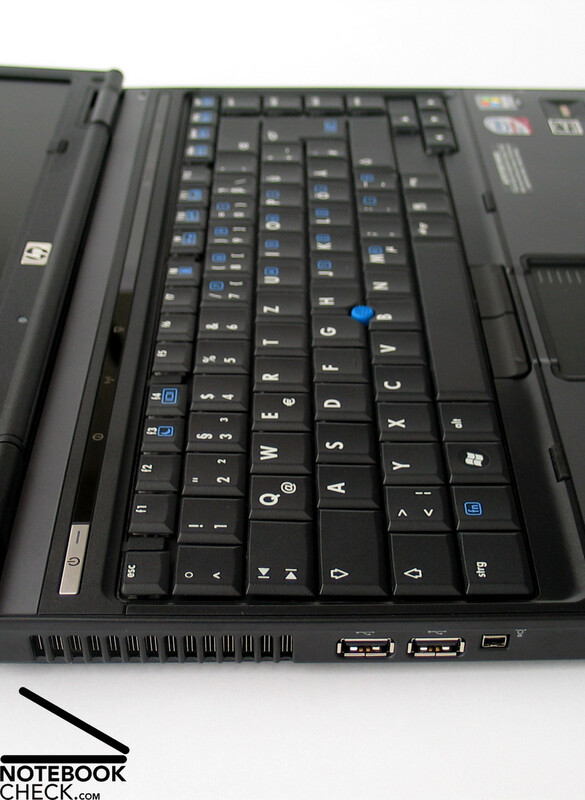 In this aspect the Compaq 6910p offers a keyboard with clear layout. 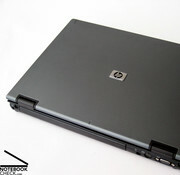 This notebook has the typical HP business look with blue-grey surfaces and a black base unit. The various used materials left a good impression and feel nice to the touch. But, not only the feel is good. The same is true for the stability of the case. The case is very resistant against applied forces and, therefore, ready for daily use on-the-move. The two hinges properly support the lid. 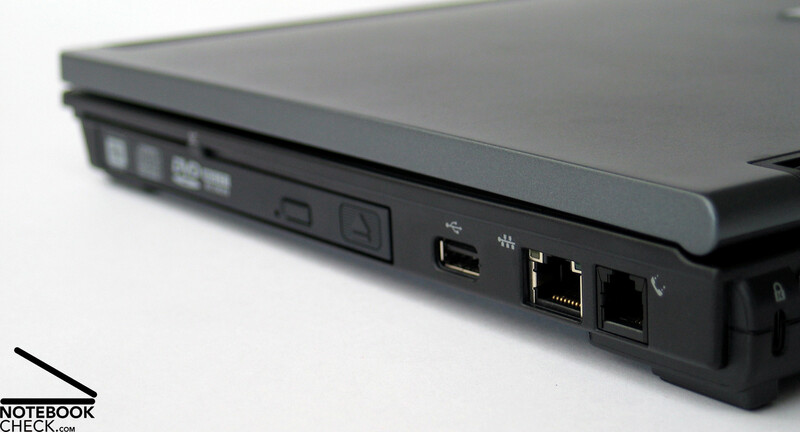 The ports at the flanks of the notebook basically cover standard ports like USB, VGA, and FireWire, because a docking port allows enhancing the connectivity. 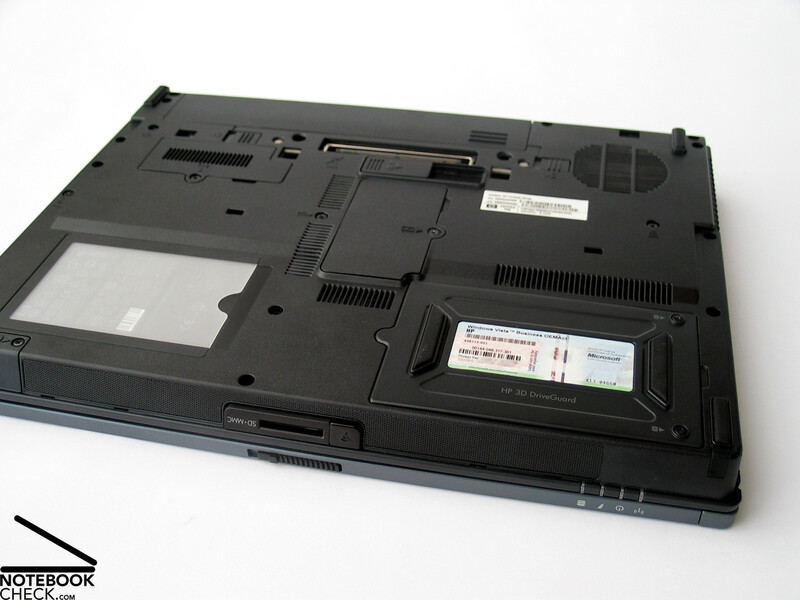 Depending on the chosen model, the HP 6910p also comes with a built-in UMTS module. 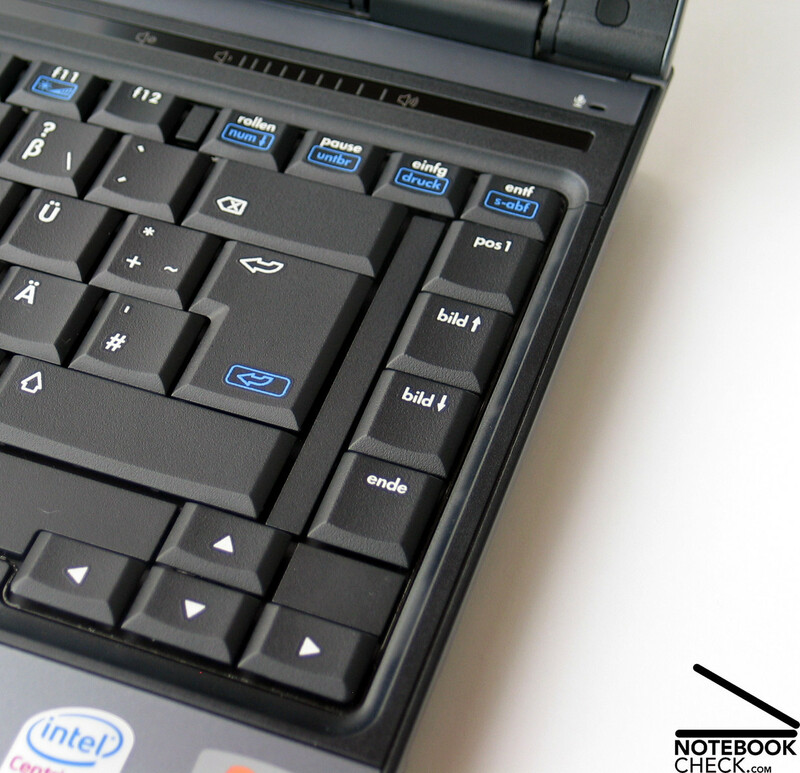 High-quality input devices are very important for business notebooks which are designed for office tasks. Furthermore, HP offers supplement batteries for especially high demands on mobility.